Back in 2009, Android was not even considered a competition for Apple and it's iOS based devices. 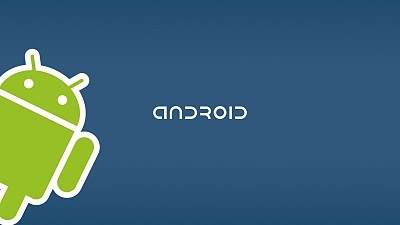 But in 2010 itself we witnessed the emergence of Android OS as the preferred smartphone platform for a number of major players like Motorola, HTC, Samsung and LG. And towards the end of 2010, Android even went on to overtake iPhone in U.S. for the very first time[comScore mobile subscriber estimates]. But Android is yet to make its mark in Tablet market which is currently dominated by Apple iPad. We might see that change in 2011 itself. 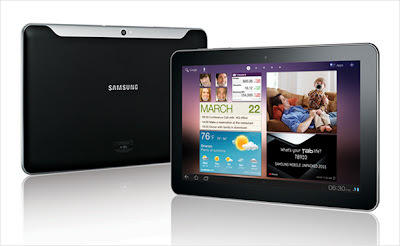 Until recently, Samsung Galaxy Tab was the only Tablet offering that had Android OS. But that is all going to change now. Android 3.0 Honeycomb OS is optimized for tablets and almost all major manufacturers of smartphones are planning for Tablet device based on this latest Android release. Here is a quick listing of best Android tablets for 2011(in no particular order). 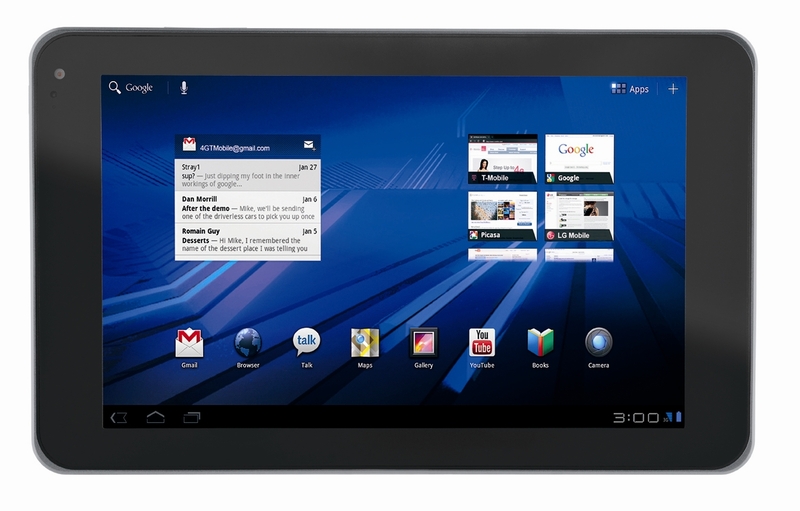 Also read: Top 5 Android Tablets Showcased During Mobile World Congress 2011. Motorola Xoom is probably the first 'real' Android tablet to be released since it was the first to come pre loaded with tablet optimized Android 3.0 Honeycomb OS. 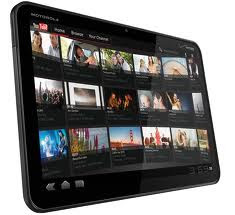 Motorola Xoom comes with a 10.1 inch display with 1280 x 800 pixel resolution, 3G/4G/Wi-Fi connectivity, 1080p video playback, dual-core 1GHz Nvidia Tegra 2 processor, 2 MP front facing camera, a rear facing 5 MP camera, 1GB RAM, and 32GB on board storage[SD card slot is a plus]. Amazon US price for Motorola Xoom hovers around $800.00(based on service type you select). 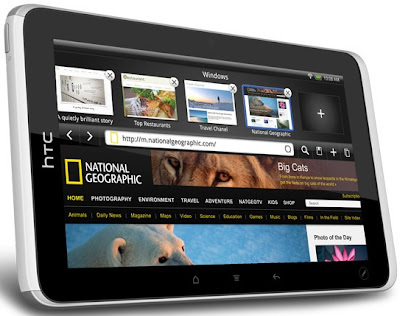 HTC Flyer is the first Android based tablet device to be introduced by HTC. HTC Flyer comes with a 7″ Display(1024 x 600 pixels resolution), 1.5Ghz Qualcomm Snapdragon processor(not dual core), 32 GB of internal storage(microSD memory card slot available), 5 MP rear camera, 1.3 MP front facing camera, Android 2.4 (Android 3.0 Honeycomb update will arrive in the future), aluminum body and a new tablet-optimized version of HTC’s Sense UI. HTC Flyer is expected to be released by the second quarter of 2011. 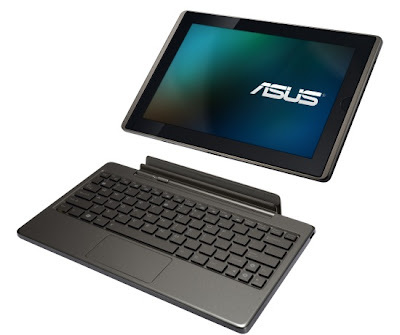 The Asus Eee Pad Transformer is a 10.1″ Android 3.0 Honeycomb OS powered tablet device from Asus. The Eee Pad Transformer comes with a full sized keyboard dock which makes it a total stand out in the already crowded Tablet market. It comes with a 10.1″ screen(1280 x 800 pixels resolution), dual-core Tegra 2 processor, dual cameras (1.3MP front and 5MP rear) and 32GB of internal storage. Asus Eee Pad Transformer is already released(and sold out) in UK. Amazon UK is offering the device for £429.99(keyboard dock included). Samsung Galaxy Tab 10.1 is the next generation Galaxy Tab with larger screen size and much improved hardware and software features. Galaxy Tab is claimed to be the world's thinnest Tablet, measuring just 8.6mm. It is powered by a 1GHz dual core processor and latest Android 3.0 Honeycomb OS. The device has got a 10.1" WXGA display with 1280x800 pixels resolution. Other features include 2 megapixel front facing camera, 8 megapixel rear facing camera with 1080p HD video recording, HSPA+ support and Wi-Fi. Samsung Galaxy Tab 10.1 is already available for pre-order through Vodafone Australia. Seems like everybody out there is keen to showcase their Tablet offerings to the world. The latest entrant is Panasonic. 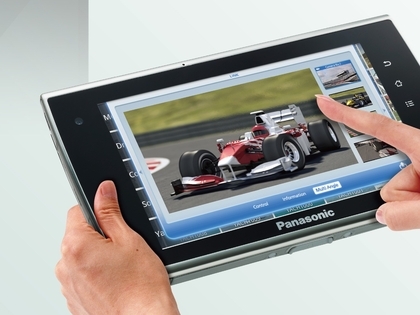 Panasonic showcased its Tablet products during CES 2011 event. There is not much information about this product except that it is going to come in 4, 7, and 10-inch sizes and it will be an Android powered device(Android 2.2 Froyo only for now). 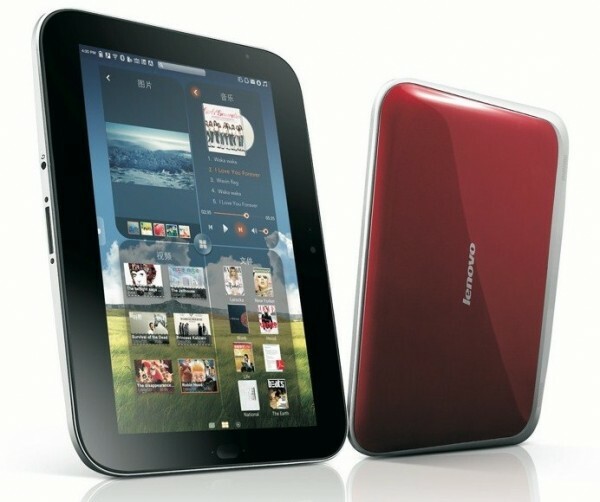 Lenovo LePad tablet has a 10.1" 1280x800 capacitive touchscreen and a 1.3GHz Snapdragon processor. Android 2.2 Froyo powers it. LePad has been already launched in China and is expected to go on sale worldwide in June 2011. According to PCWorld, LePad comes in four configurations. Wi-Fi only version with 16GB and 32GB of memory at 3,499 yuan (US$534) and 3,999 yuan, respectively. A 3G version with Wi-Fi and 16GB of memory will be priced at 4,599 yuan, with the 32GB version priced at 5,299 yuan. 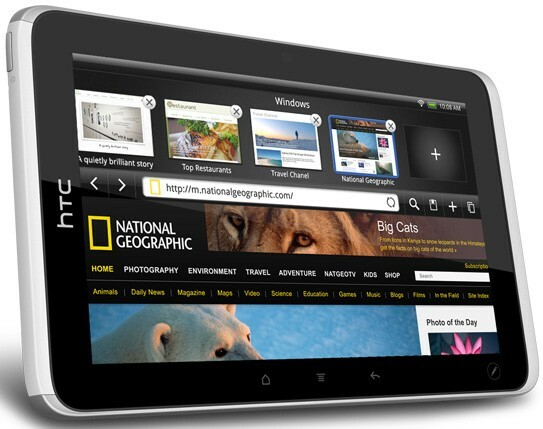 LG Optimus Pad is a Tegra 2-powered Android 3.0 honeycomb tablet with dual 5MP rear cameras for 3D video capture. Unlike the LG Optimus 3D smartphone(which featured glassless 3D display), the display of LG Optimus Pad is not 3D compatible. Instead, it is a standard 8.9-inch LCD capacitive touchscreen with a 15:9 aspect ratio and 1280 x 768 WXGA resolution. Read techradar's detailed Optimus Pad review here. Acer Iconia Tablet was among the superstars of MWC 2011. Acer Iconia tablet has a 10.1 inch display with 1280 x 768 pixels WXGA resolution, HDMI port, a 5MP rear facing and 2MP front facing camera, a dual-core Tegra 2 NVIDIA Tegra processor with GeForce graphics acceleration. Acer Iconia A500 tablet is available on pre-order at bestbuy.com for $449.99. Hope you find our listing useful. Meanwhile, you might also want to check out this collection of simple yet addictive opensource Android games.